Enjoy the Gulf Front view on Holiday Isle in newly renovated 2 BR unit 624! Saturday to Saturday Peak Season. Lovely Beach-front 2 bedroom condo 620! Saturday to Saturday peak season. 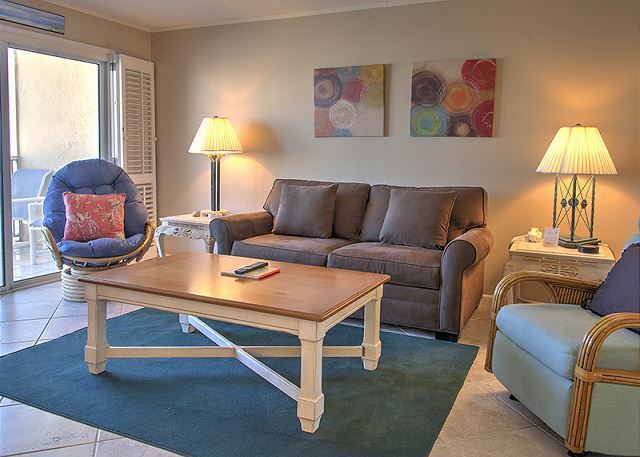 Gorgeous 1 BR condo 609 overlooking the emerald waters of Destin! Saturday to Saturday Peak Season. Holiday Surf & Racquet Club 612 is newly renovated. Gulf Front Condo.